Seniors have worked hard for three years, taking tests, completing projects, and preparing for college admission. When senior year rolls around, some students just want to get through college applications and relax before they head off to the college of their choice. 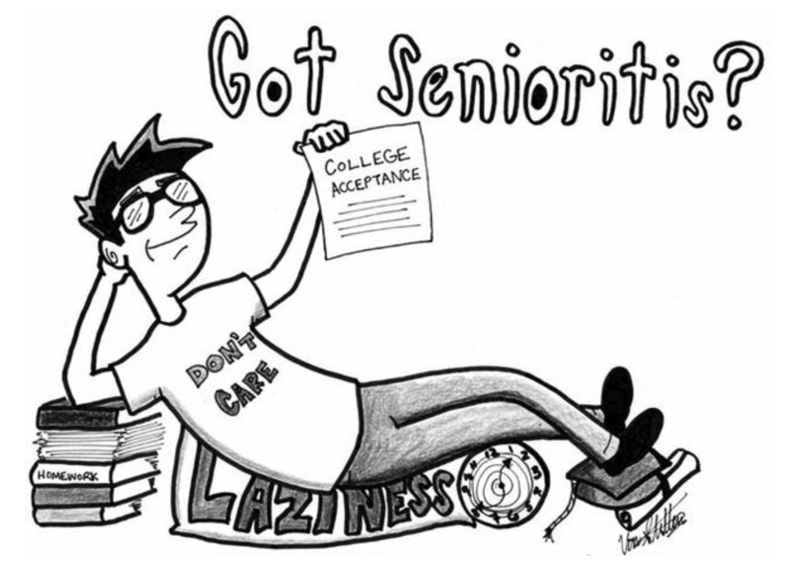 Also known as senioritis, taking it easy senior year may seem like a nice break, but is likely to do more harm than good. According to recent reports, incomplete high school preparation can contribute to academic problems in college. "As many as half of all college students do not have adequate academic preparation, and are required to take remedial courses." "More than one quarter of the freshmen at 4-year colleges and nearly half of those at 2-year colleges do not even make it to their sophomore year." Not only does senioritis jeopardize your chances for success later on in college, it can also affect your grades -- and college admission officers pay close attention to your performance senior year. Many students mistakenly believe that prepping for college ends after the eleventh grade. However, the senior year -- the entire senior year -- is actually of particular interest to colleges. Many college applications (including the Common Application) require you to list your senior courses, including information about course levels and credit hours. It will be very obvious to the admission officers if you've decided to "take the year off." Many colleges also include as part of the application a form called the mid-year grade report. Your counselor completes this form with first-half grades and sends it to the colleges to which you've applied. It then becomes a crucial part of the application folder. Many college acceptance letters include warnings to students such as "Your admission is contingent on your continued successful performance." This means colleges reserve the right to deny you admission should your senior year grades drop. Mary Lee Hoganson, College Counselor for Homewood-Flossmor Community High School, Flossmor, Illinois writes: "It is not at all rare for a college to withdraw an offer of admission when grades drop significantly over the course of the senior year. (I have a folder full of copies of these letters.)" Senior year is your opportunity to strengthen your skills and broaden your experiences, in school and out, to prepare for all of the challenges ahead. A successful senior year can help launch you on the path to a successful future. You should take the most rigorous courses available, and be sure to continue taking college-track subjects. Consider AP® courses, which can also earn you credit at many colleges. Your continued involvement in activities, sports, volunteer work, etc. will help you stay active and focused throughout your final year. A great internship or career-focused job opportunity can help motivate you to start considering your career options. Meaningful and significant experiences will help prepare you to make informed decisions about your education and career goals. If you're interested in pursuing a subject further, and have excelled at your high school classes so far, consider taking a class at a local college. This challenge can help you avoid sliding into an academic slump, and stimulate your interest in the possibilities of college. Another option in many areas is "middle college" or "early college" high schools. These schools, normally located on community and four-year college campuses, allow students to spend their last two years taking classes in both college and high school. Early exposure to college classes introduces you to the rigor of college work while easing your transition from high school. Sources: National Commission on the High School Senior Year, The Lost Opportunity of Senior Year: Finding a Better Way - Summary of Findings, 2001. Barth, P., Haycock, K., Huang, S. and Richardson, A., Youth at the Crossroads: Facing High School and Beyond. Washington, DC: The Education Trust, 2000.